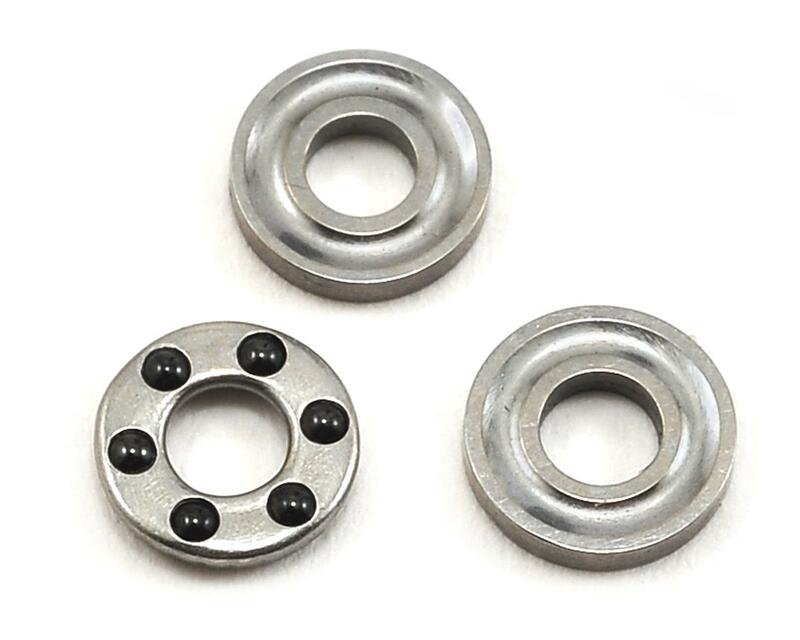 This is the ProTek R/C Differential Thrust Bearing Set, using precision caged ceramic balls. Looking for the perfect upgrade for your Team Associated or Team Losi Racing 1/10 scale ball differential? 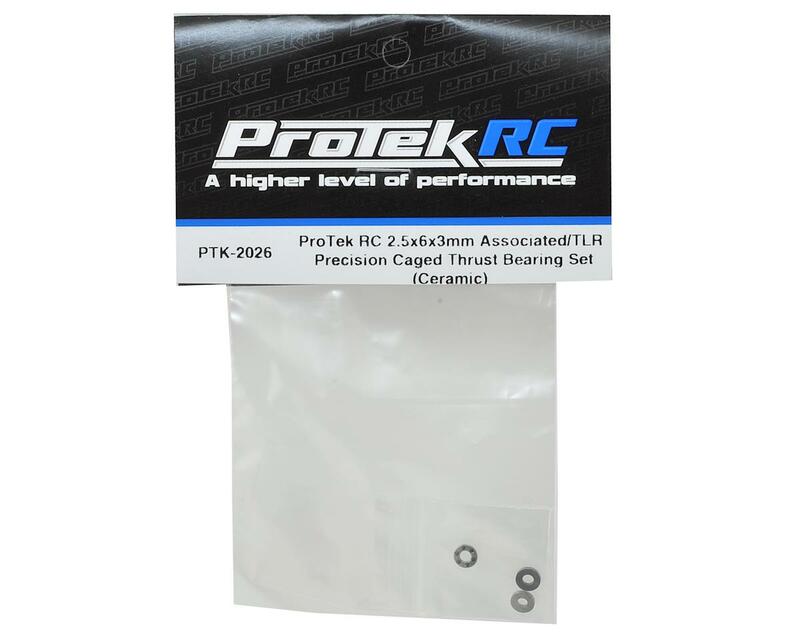 The ProTek R/C Caged Thrust Bearing Set offers hassle free installation while providing super smooth operation with the use of Ceramic balls. This thrust bearing contains six ceramic 5/64" ball bearings caged on a hardened ring. These ceramic balls have been crafted to exact roundness and precision, offering increased performance over steel balls. During installation, the thrust bearing is sandwiched between the other two grooved hardened rings included in the package. The result is maximum smoothness, ultra convenience and unmatched performance. Ceramic differential balls have many advantages over standard steel balls, such as decreased weight, higher RPM capabilities, increased corrosion and wear resistance, as well as reduced friction and vibration. High Speed: Ceramic differential balls can reach a resistance level of 1,200,000dN with grease lubrication, due to reduced slip, wear extent and heat productivity. Long Service Life: The service life of ceramic balls is 3 to 5 times longer than that of steel in comparable working conditions. Self Lubricating: Even when poorly lubricated or with no lubrication, ceramic differential balls will continue to function longer than steel under the same level of stress due to their self lubricating properties. Corrosion Resistance: Ceramic differential balls have excellent corrosion resistance, and will continue to function while corroded. Great product from Protek. The cage saves time rebuilding or loosing those tiny individual bearings while extending the life of ball diffs!